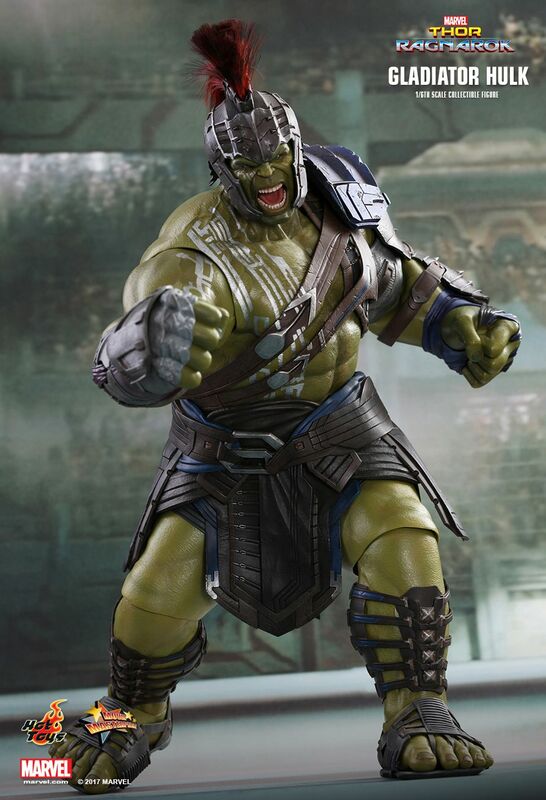 Stomping into theatre this Fall, the Incredible Hulk will be dueling against his former ally the Mighty Thor in the eagerly awaited blockbuster Thor: Ragnarok! 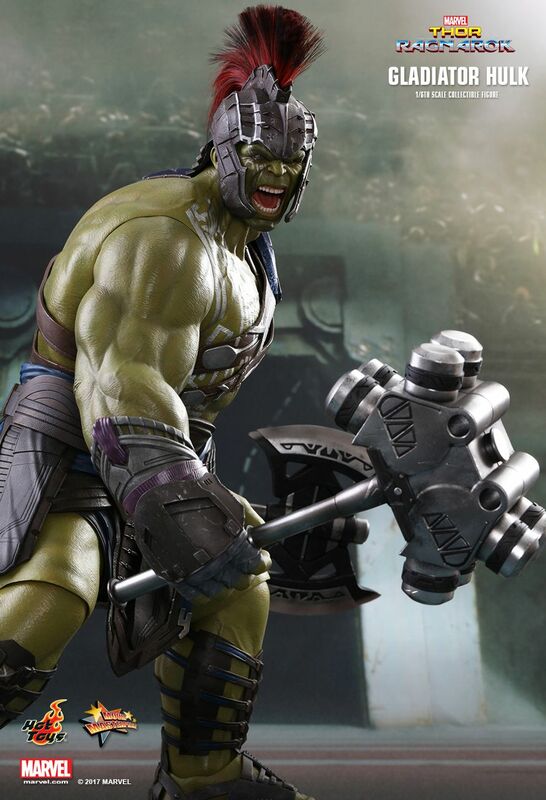 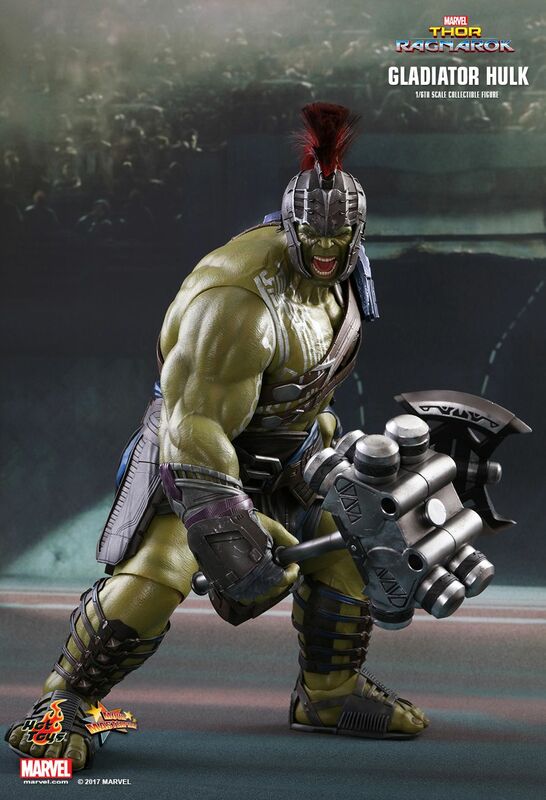 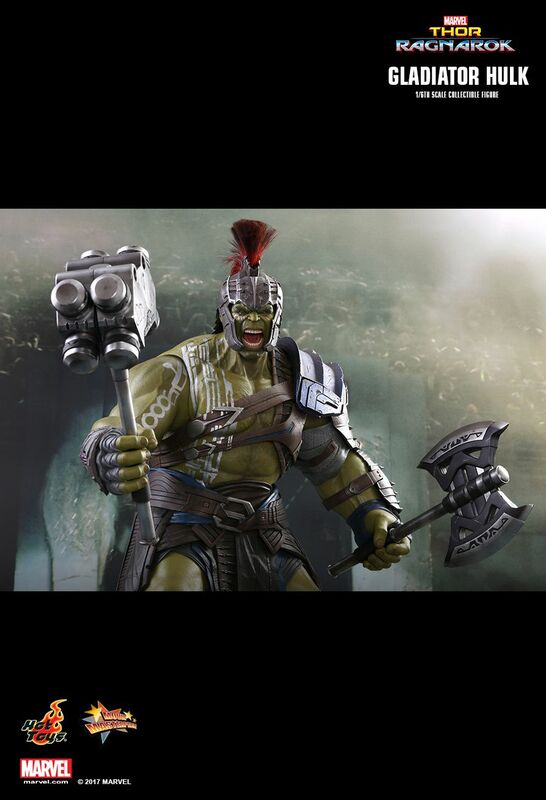 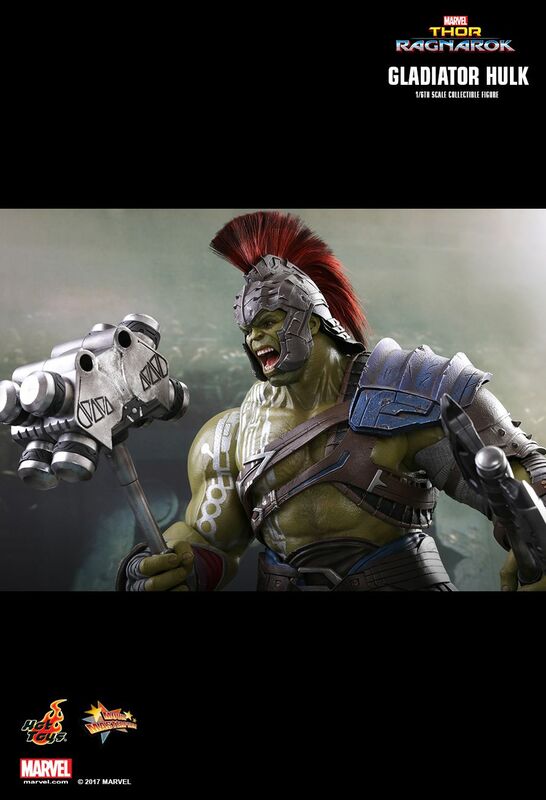 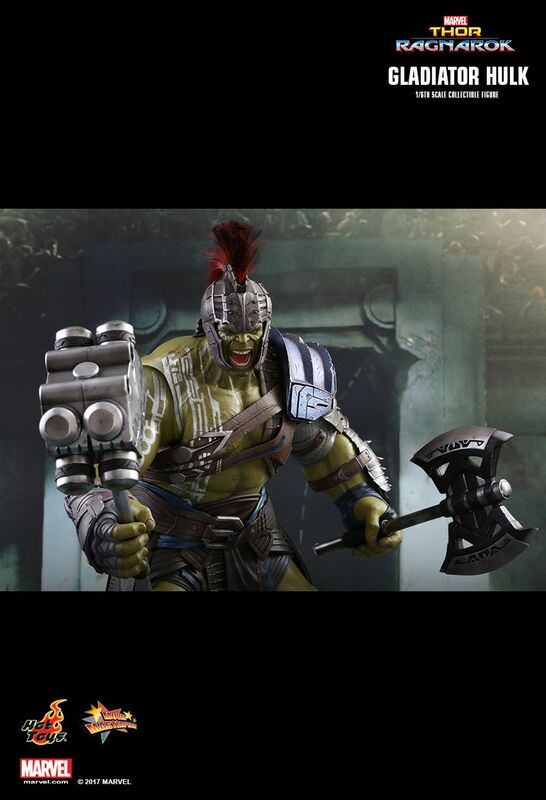 The super powerful Hulk appears to be monstrous wearing the Gladiator outfit and wielding brutal looking weapons on the alien planet of Sakaar. 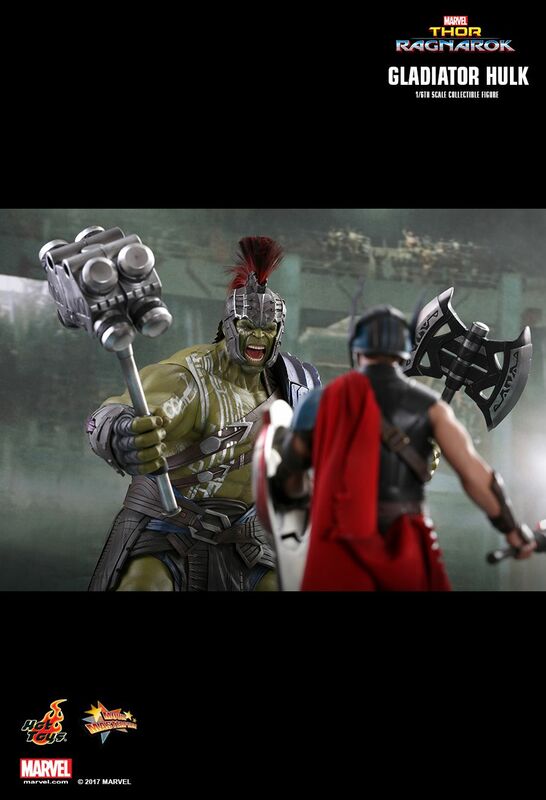 The vicious battle will surely be a deadly combat! 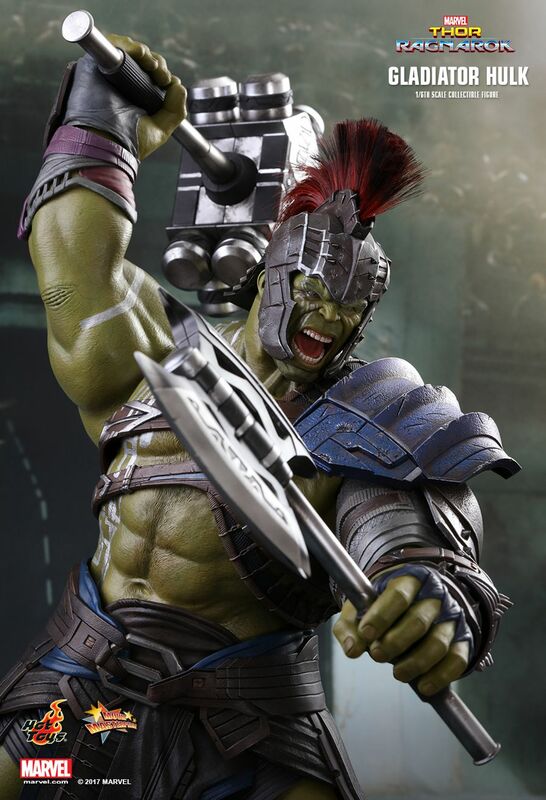 Today the incredible Hulk is smashing in as Hot Toys is ecstatic to introduce the all-new 1/6th scale Gladiator Hulk collectible figure! 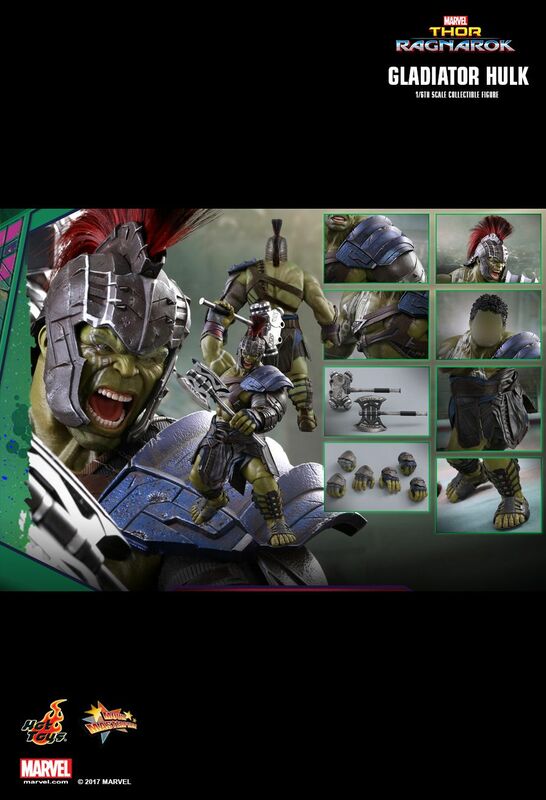 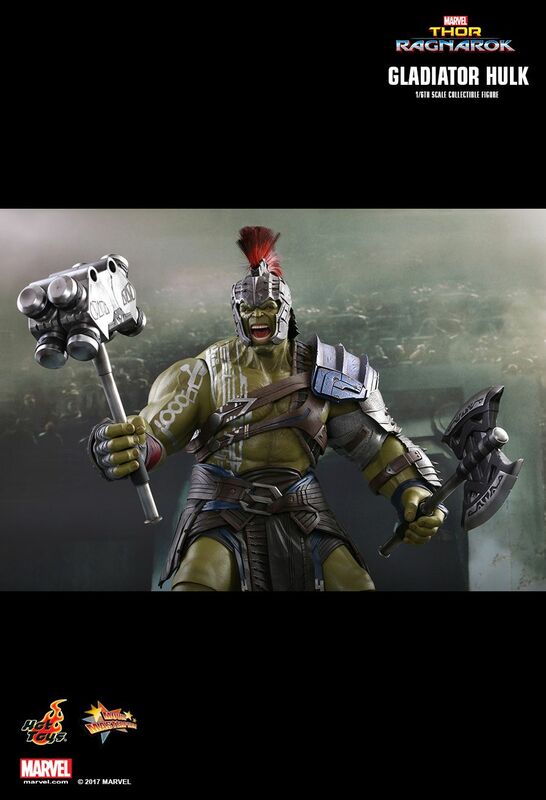 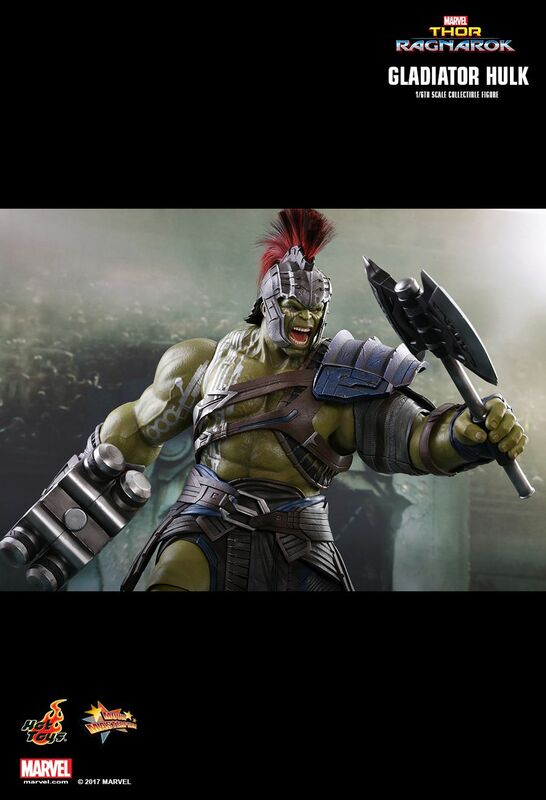 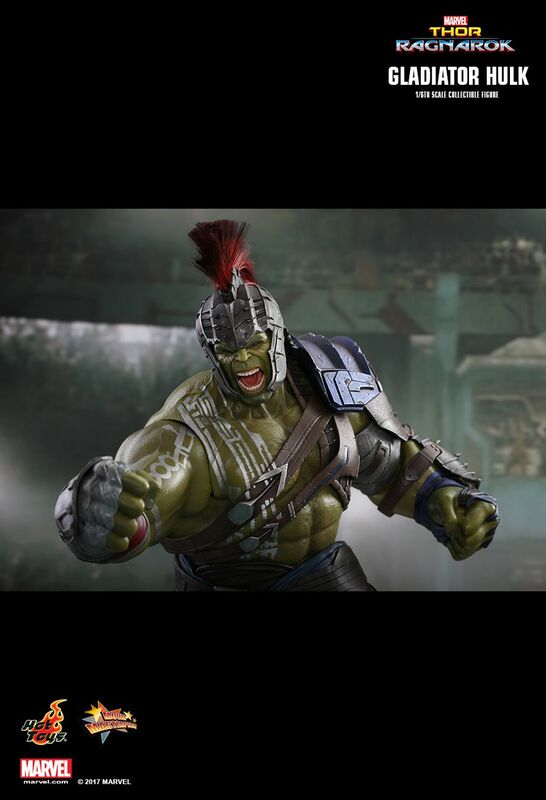 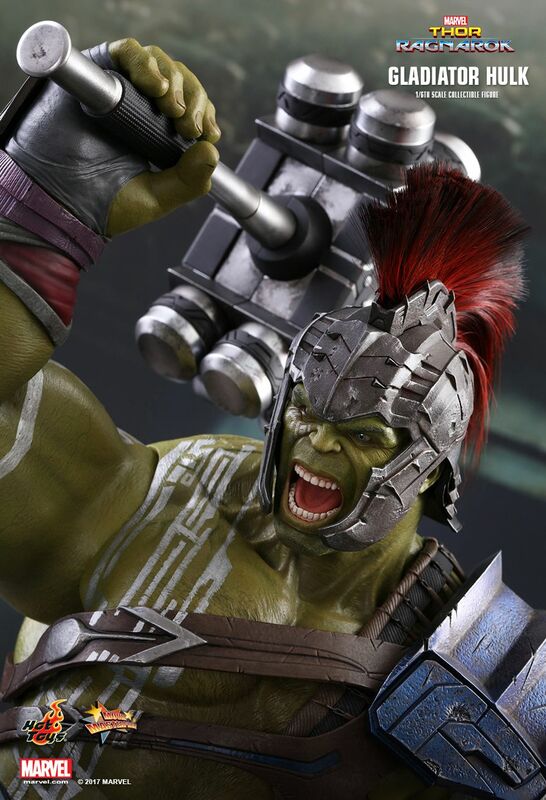 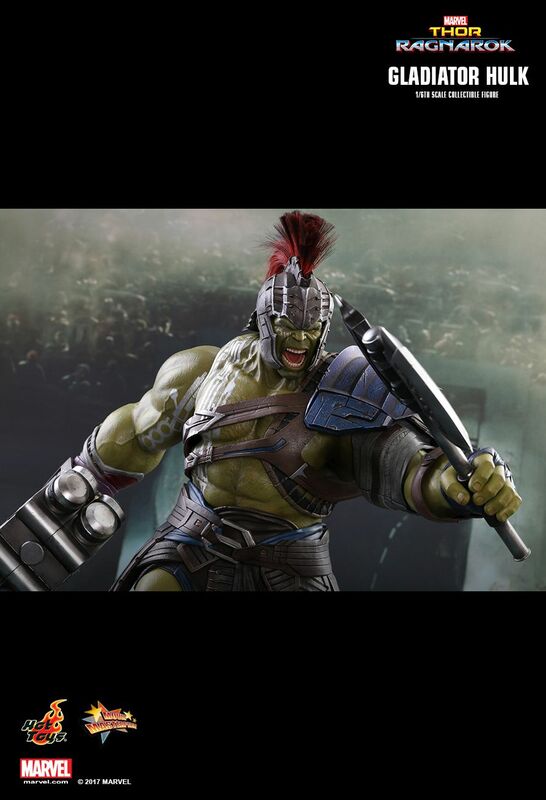 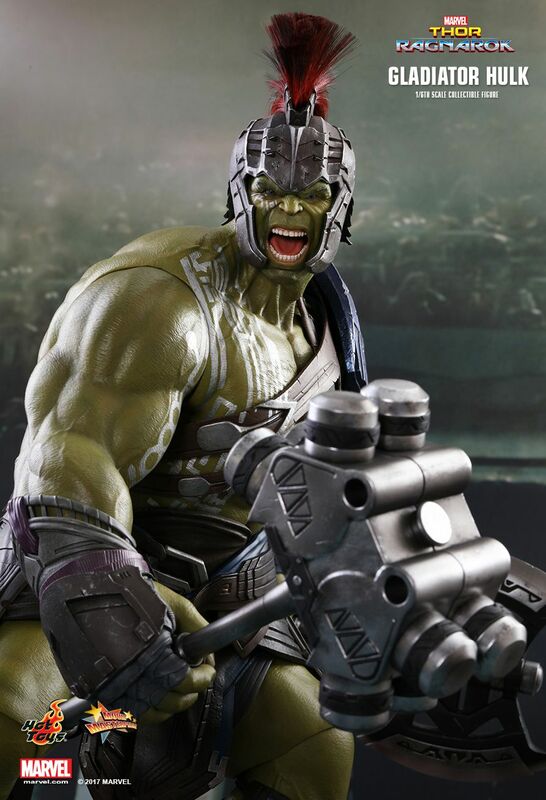 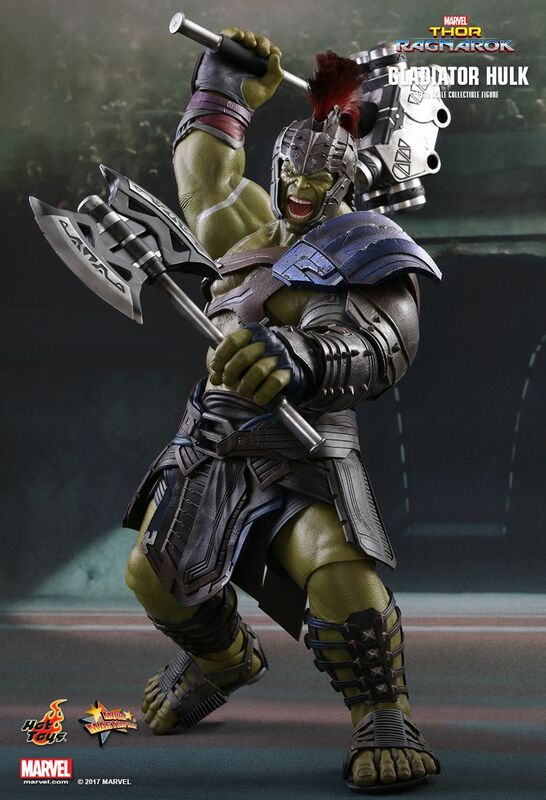 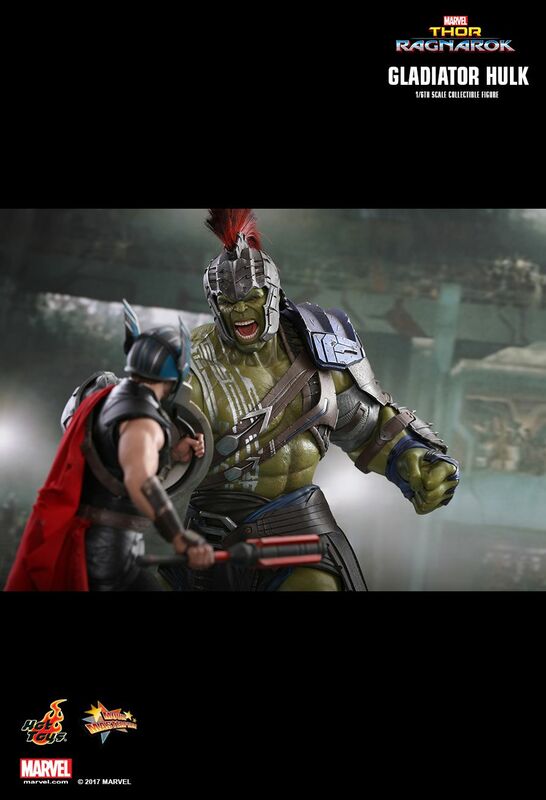 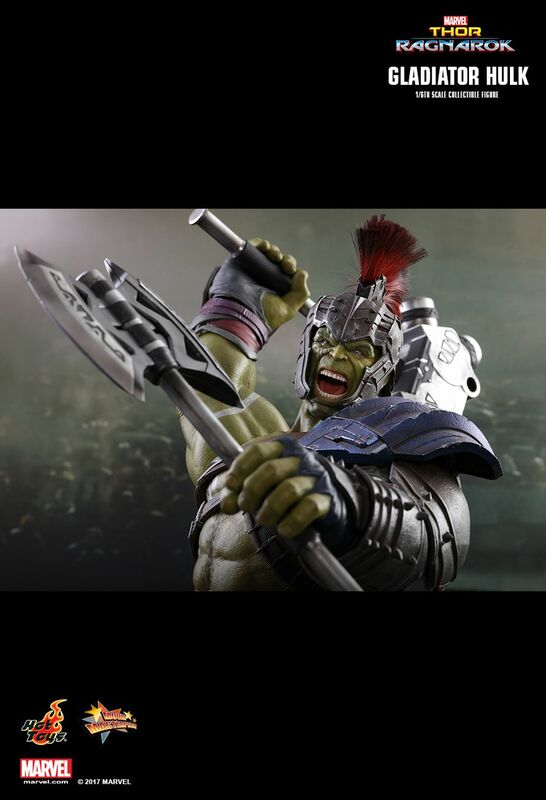 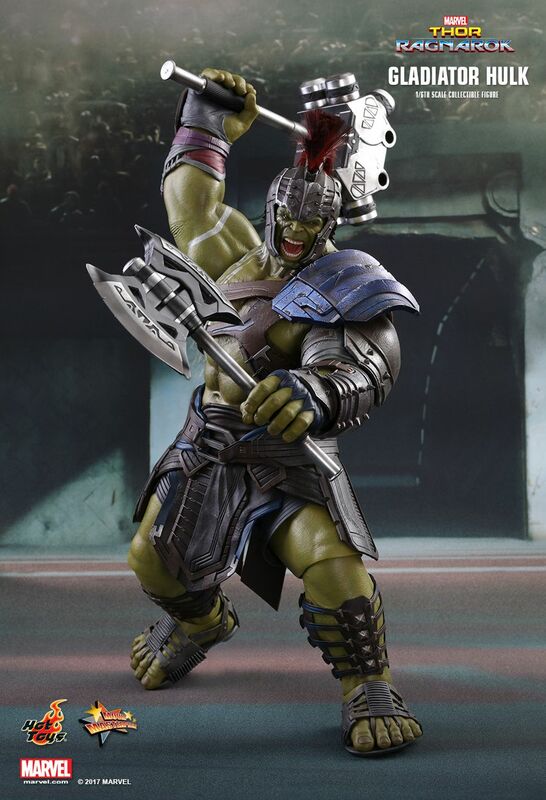 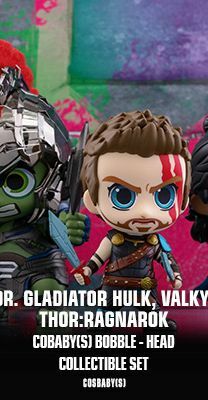 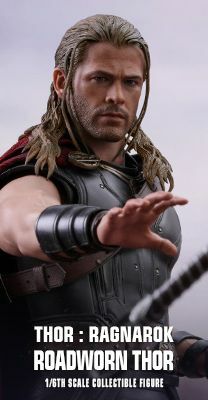 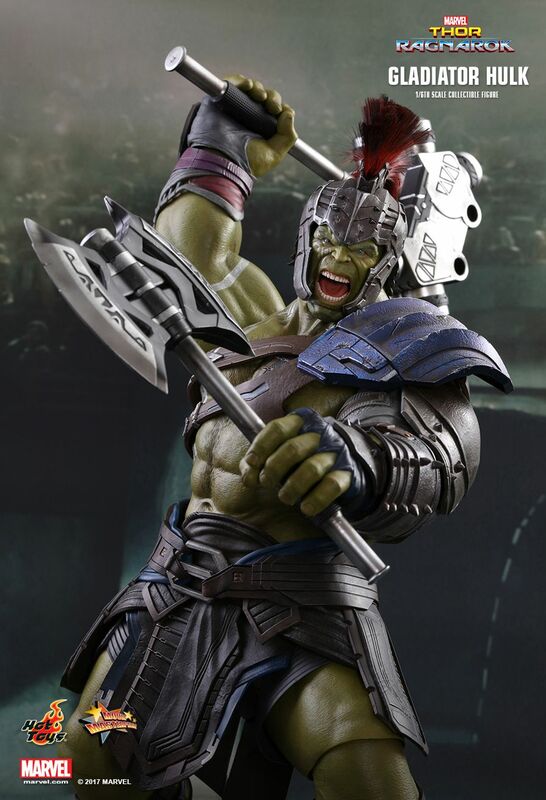 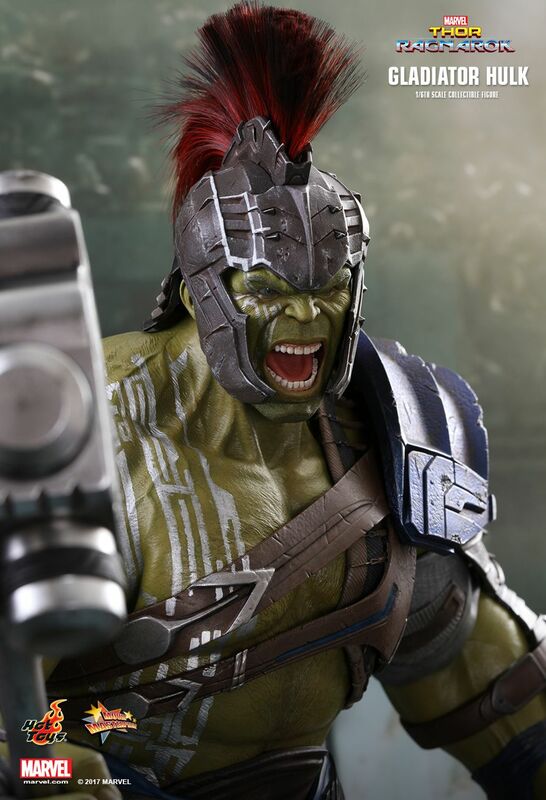 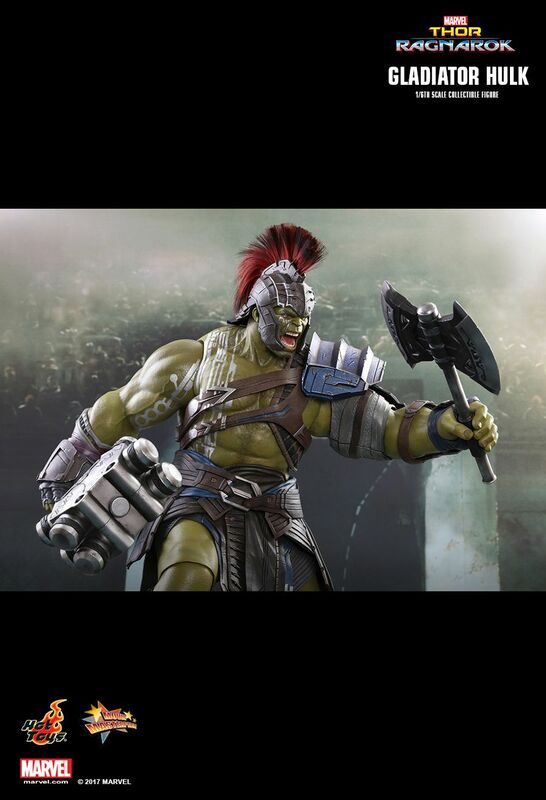 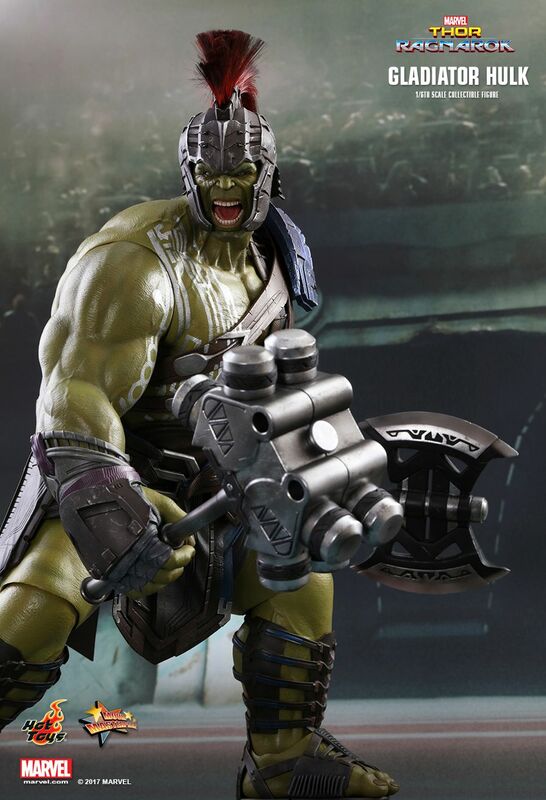 Crafted based on Hulk’s appearance in the upcoming screenplay Thor: Ragnarok, the Gladiator Hulk figure comes with a newly developed and an interchangeable head sculpts with separate rolling eyeballs, capturing his screaming and angry facial expression with impressive likeness. 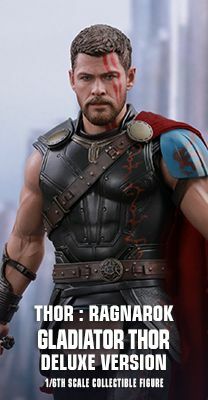 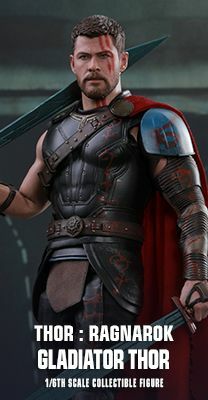 The figure also features a specially painted muscular body showing detailed skin texture and tendons, a detachable gladiator helmet with real fur, a detachable hair piece, the highly detailed gladiator armor, war hammer and battle axe. 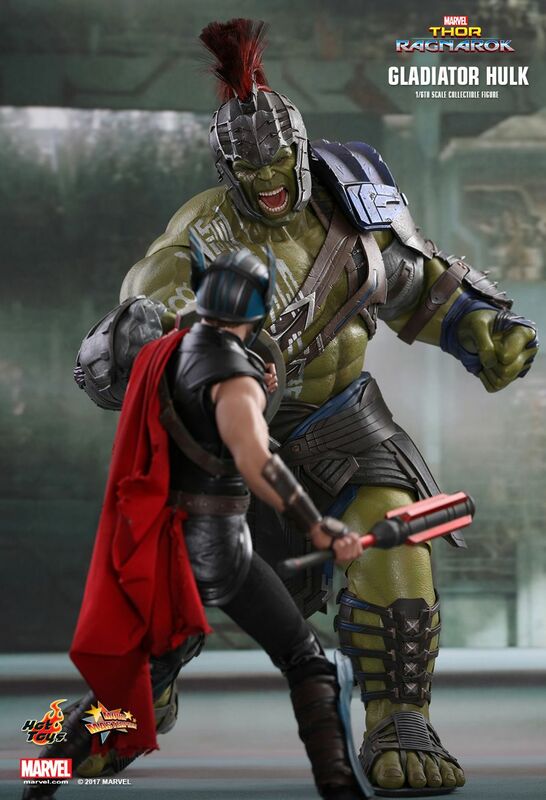 Start your Thor: Ragnarok collection today and don’t miss the chance to bring home this incredible green giant!